Designing a green interior means different things to different people. Some homeowners choose to make small changes and others go all out to make their home as green as possible. You have many options that include everything from recycling to installing solar panels. You need to go over your specific needs, financial situation and personal preferences to decide which options are best suited for you. While the eco-friendly design you choose will be different from your friends or neighbors, there are 3 things that all green interior designs share. All green homes must have energy efficient appliances. These include everything from the refrigerator to the air conditioning system. Eco-friendly appliances provide the same great service you’re used to but they use less electricity to operate. They can help you reduce the amount of energy you use on a daily basis and they’ll help you save money, too. Some of these appliances such as washing machines and dishwashers also reduce water consumption. Since conserving water is just as important as reducing your energy usage, eco-friendly interior designs should also include low-flow showerheads and energy efficient toilets in addition to these appliances. The layout of your interior will play a major role in how much energy you use. By including large energy efficient windows and skylights if possible in your design, you can reduce the amount of electricity needed to heat and light your home significantly. In the summer, you can use blinds or curtains to block out the sun, reducing the energy needed to cool your home. Natural lighting will also help create a healthier environment and it can even help improve your mood. Since there will be times when you need artificial lighting, the light fixtures and lamps should be carefully placed within each room to maximize performance. Using a combination of lighting will be the most efficient. It will also make it possible for you to change the ambiance of each room to suit the time of day or your mood. Here at J. 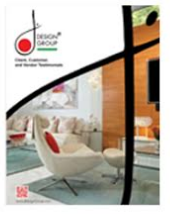 Design Group, we have over 26 years of experience helping clients create the best layouts for their home that uses both natural and artificial light efficiently. All green homes use eco-friendly building materials made from sustainable resources. These include recyclable and renewable materials such as bamboo, concrete, hemp and cork to name a few. These materials are not treated with pesticides or other harmful chemicals that can make you sick and the paint used will not contain volatile organic compounds or VOCs. There are many ways to make your home more eco-friendly but all green designs will use sustainable resources, energy efficient appliances and they will have a layout that utilizes natural light. These three things are the foundation for any eco-friendly design. Green homes will help you save energy and reduce the carbon footprint you leave behind but they also provide a safer environment for you and your family. Contact us to learn more about creating a green interior design and to schedule a consultation where you can discuss your project in detail with one of our experts.